Have you ever reflected on where our church came from? How did we get from the first churches in Acts to a church in Wentzville, MO? In our comfort as an established church it’s easy to forget our roots. Almost every church started as a church plant. For us, we began as a result of a small group of people that wanted to see a church start in Wentzville and First Baptist Church in Troy MO providing support early in our history. In the same way as we began, churches have begun all throughout history as someone or a small group of people set out to start a new work in a community. When you reflect on our past, it reminds us of the importance of being a part of God’s plan for the spread of the gospel through the local church. Understanding where we started helps us understand where we need to go next. Our church has partnerships with churches and church plants internationally in Mexico and Panama, nationally in Atchison, Kansas and we are in pursuit of one in St. Louis currently. Each of these is an opportunity to do for others what has already been done for us. We have a church today because someone wanted the spread of the gospel to take place in Wentzville and now we can do the same in the areas God has led us to partner. The church is in its infancy. Jerod, his wife Chelsea, and 3 small children are what some call parachute church planters. 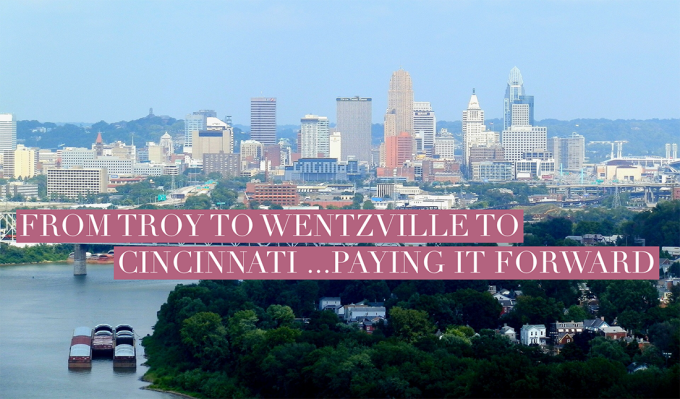 This just means they selected a community in Cincinnati, picked up everything, moved there with no relational connections and are slowly building a core group through relationships and evangelism to launch the church. They’re currently meeting in a karate gym where they have bible study. They’ve been planting in the area for just over a year and have built a core group of just over 20. Stephen is connected with a church that was planted back in 2010. They’ve grown dramatically in the last 7 years and are busting at the seams in their current store front church with over 500 weekly in worship. Origins desires to multiply themselves, much like the early church did. They’re sending out Stephen to plant a church in another part of the city. Stephen, his wife Ally, and his 2 small children moved from Fairfield, OH where he was one of the pastor’s to start this new work with Origins Church. He’s just begun building his core group and to support his family he’s working at Home Depot while planting the church. This church plant is in a community of Cincinnati that has the hardest soil. It’s a community that has no other evangelical church proclaiming the gospel. This is an area with over 7000 people with no gospel proclamation beyond what Brandon and his team are doing. It’s an area known for being hip, alternative, progressive, and extremely liberal. 73% of the families are single parent households. They started planting Voyager in 2014, they have over 20 in their core group, of which are 7-8 adults, all of which were added by evangelism. Brandon, his wife Candace, and 2 children desperately need a space to gather but space is at a premium. It’s a slow work but they’re piercing the darkness of Northside. Christ the King is another example of a church that is multiplying itself. After growing to about 500 in an area where heroin overdose is epidemic and renovating an old church building that was given to them for $1, they’ve launched another plant in another community and are in the process of planting in the suburbs of Cincinnati. Dustin, his wife Jamie, and 3 children planted in 2014 and are running over 100 in worship. They had a dying church vote to become a part of their plant and the property was deeded over to them. This church is being planted in a growing area of Cincinnati full of young professionals and young families. Terry-Lee and his wife Abby moved from Louisville, KY to plant a church in the Oakley community. Multiple families from their church in Louisville and also from Panama City, FL have moved to Cincinnati as well for the purpose of starting this church. Another group is joining them from Red Door Church, an SBC church that was planted a few years ago and is now multiplying itself. They have the opportunity to meet in a local theater free of charge! Their gatherings have 40-45 people currently and they’re looking to start meeting weekly Spring of 2017. This is only a sampling of those that have left everything behind and moved to Cincinnati to plant a church in an area that needs that gospel influence. Each of them needs our prayers as they face spiritual warfare, discouragement, financial stress, and countless other challenges that come with taking up this calling from God. Let this be a reminder for you to pray and maybe one day to go, whether that’s on a short term trip with our church or permanently as you seek to spread the gospel! As a Southern Baptist, you have many things to be proud of; these churches being planted as a result of your giving are one of them! Remember, every church started somewhere, we owe a debt of gratitude to those that have made our church possible and now we have the opportunity to pay it forward. 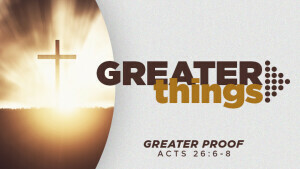 Acts 1:8 tells us that we are to be witnesses for Christ here and around the world. Have you ever wanted to travel the world, try different foods and meet different people? Some of you would really enjoy such a trip, while others may think in the world we live in today; I do not want to go too far from home. The Bible does not give us a choice, we are to go and tell. Our new missions program is coming directly out of Mission Zone. For the past ten years we have been experiencing our world on Wednesday nights in the summer. We have learned about our missionaries by DVD, eaten the food of the country, and learned about their location. It is time to expand Mission Zone and put hands and feet to the children’s learning experience. Missions does not mean you have to be outgoing to accomplish things for Christ, but it does mean that we find the things we are good at and use our talents to share the love of Jesus. We would like to see the children doing more than just getting the facts. 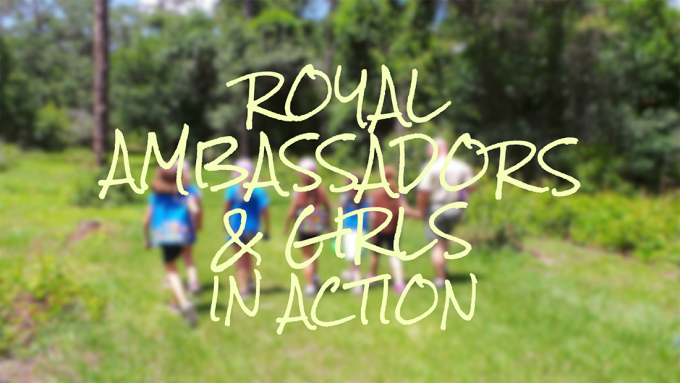 Mission Zone will now be the united programs of Royal Ambassadors for boys and Girls in Action for girls, grades 1-6. RA’s and GA’s is a Southern Baptist Missions organization that began at the time of Annie Armstrong, 1908. 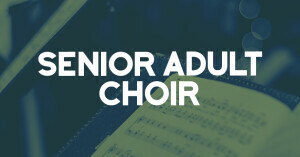 Both groups will be meeting Sunday nights from 5 to 6p.m. If we do a joint project it will be under the title of “Mission Zone”. Every week the boys will start with their pledge and then work on their exercise patch. Then we will have our Bible/Mission lesson. Once a month we will have our “Trek” lesson where we will play special games and do projects that will help us be better missionaries. They will also be made aware of special events that will earn patches for items like, “World Hunger” studies and just for fun events like, RA Racers. There will also be projects that will help in our understanding of manhood, knot tying, camp outs and nature hikes. All of these activities will have a biblical lesson and a lesson on how we can use this to spread the gospel. They will be given a vest that will show their rank and accomplishments. The girls will also follow a similar format. They will start with their pledge and song followed by their Bible/Missions study. Once a month they will do their “Journey” patches. They can earn 8 patches in their first year by attending and participating in the monthly Journey meetings. They too will be given a vest to place their accomplishments. They will join the boys on Mission Zone activities, such as the canned food drive for HOPE. They will also have a chance to do hands on missions in Wentzville and possibly beyond. Each month we will be learning about a missionary in one country. We will see how their lives match up with Bible stories and how we should be on mission where we are. They will be challenged to earn special badges or patches for their vest. It will be up to each child to earn their rank and special patches or badges. We will be opening Mission Friends to our preschoolers. I personally believe that it was during mission friends that I have my first memories of hearing the gospel and attending church. This time with the children will be a great time of learning about Jesus while having a great hour of fun. I am looking forward to what God will do in this expanded ministry. Come and join us, be a missionary and bring a friend.